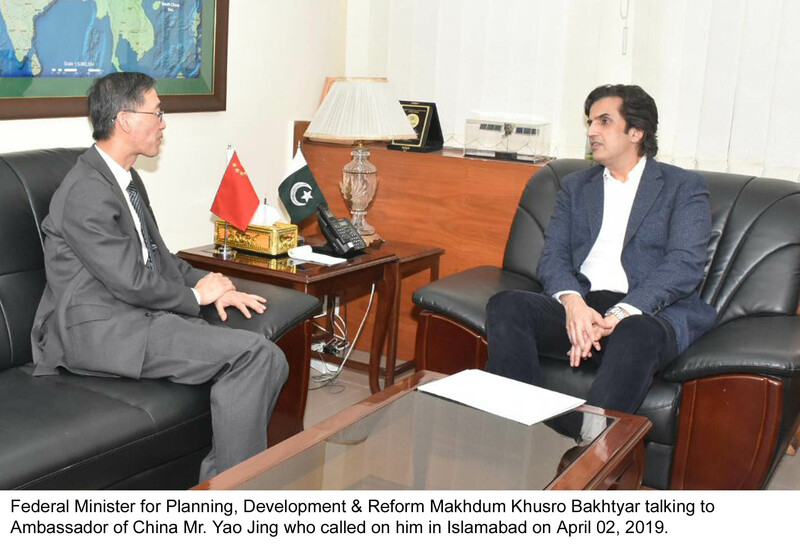 Islamabad: Jan 15, 2019: Mr. Yao Jing, the Chinese Ambassador at Islamabad called on Makhdum Khusro Bakhtyar, Minister for Planning, Development & Reform here on Tuesday. During the meeting, matters of mutual interest including progress on China Pakistan Economic Corridor projects came under discussion. 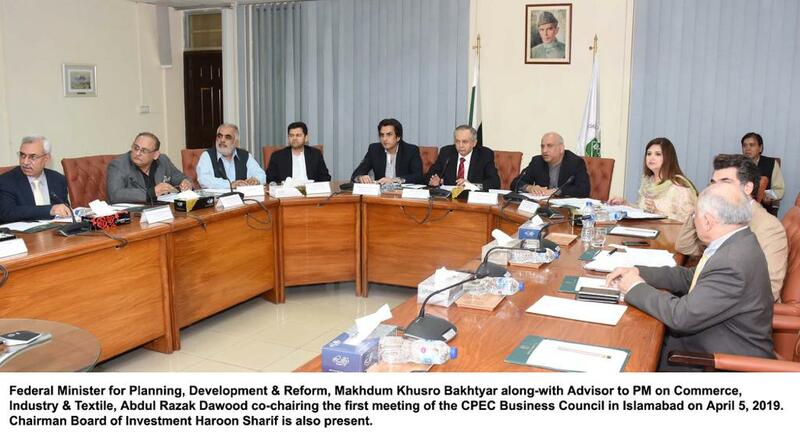 Minister highlighted that Pakistan can become an ideal destination for investment in different sectors. He said that Ministry of Planning would facilitate Chinese investors looking for opportunities under CPEC and create a pull effect. Minister highlighted that government is working on policies that will improve ease of doing business in early time frame. Minister said that the first meeting of the JWG on Socio economic development was a major milestone and the action plan discussed therein will support uplift of less developed area. Pakistan side has already forwarded invitation letter to China for visit of the expert team. Minister hoped that JWG on Agriculture meeting, scheduled for 15th February this year, would provide an opportunity to broaden CPEC Cooperation. 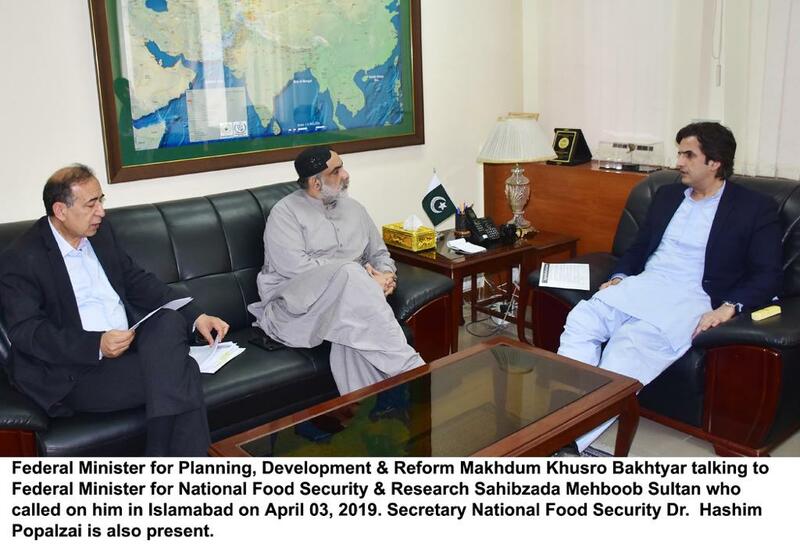 He emphasized that Chinese investors should explore investment opportunities in agriculture sector of Pakistan for input supplies as well as food production, processing, logistics, marketing and exports in a vertically integrated way on their own or in joint ventures (B2B) with Pakistani companies. Both side agreed to ensure that this year Gwadar Projects such as New International Airport, Hospital and Vocational Institutes will hit ground with in three months as these projects are beneficial for the local population and will therefore gain the support and trust of the local population.